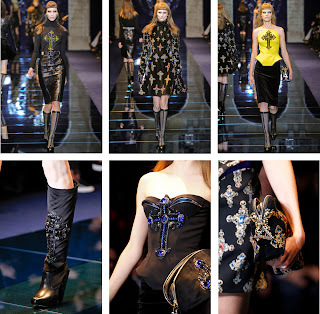 In this household we’re 40% Goth, so are fully embracing the current Crucifix trend; seen on the Versace catwalk for AW12. Imagine my delight when I spotted these beauties at a Car Boot sale for £1! The design and velvet element also reminds me of the Baroque vibe throughout the Dolce & Gabbana 2012 collection. Obvs made an appearance, or ten, in my Paris wardrobe.